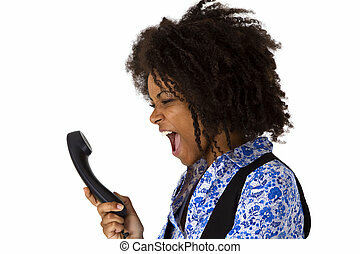 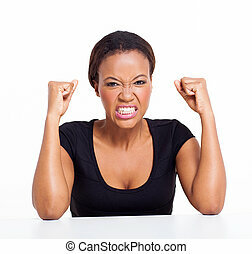 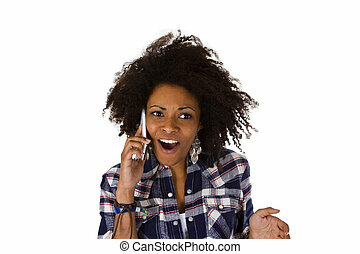 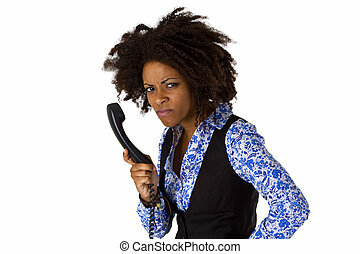 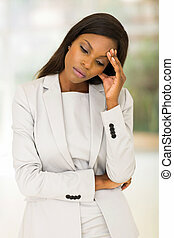 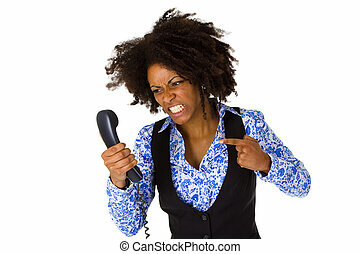 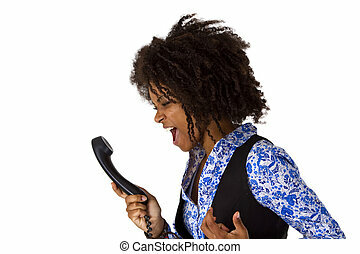 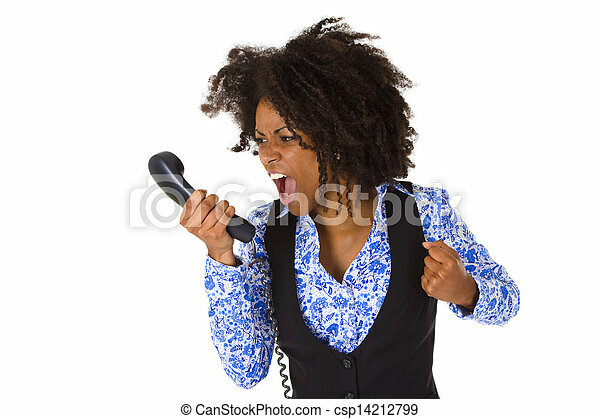 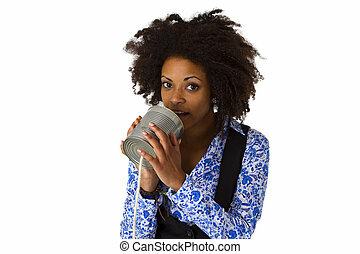 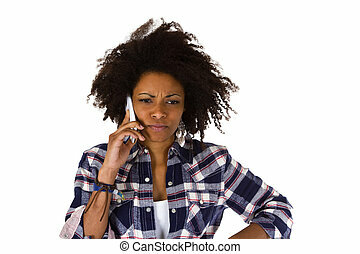 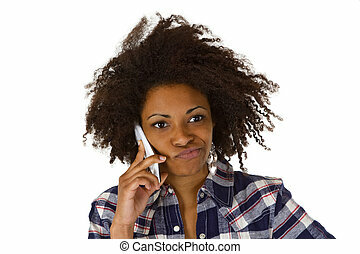 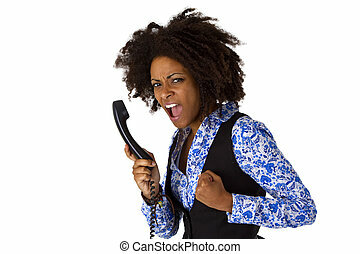 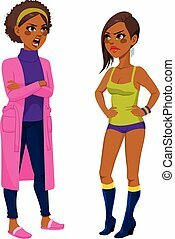 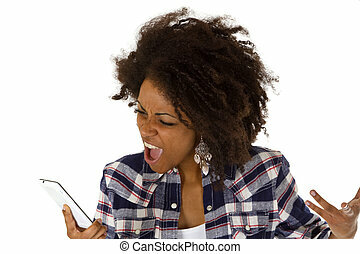 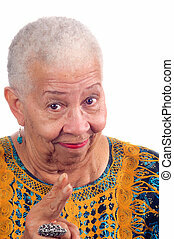 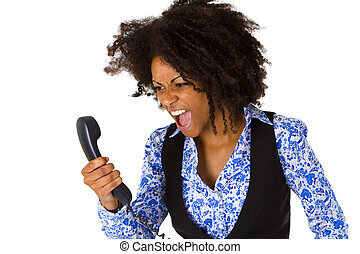 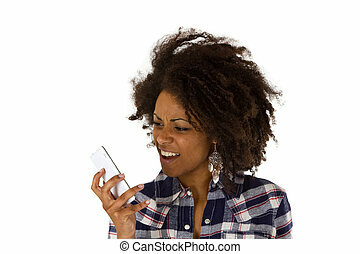 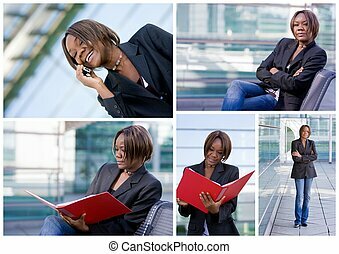 Angry african american woman with handset - isolated on white background. 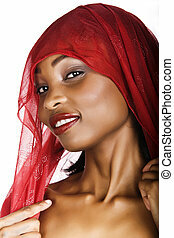 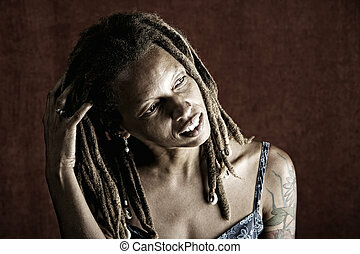 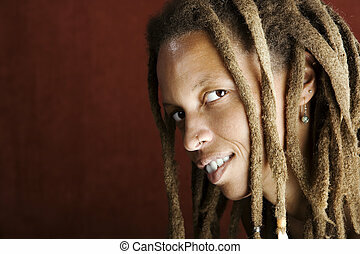 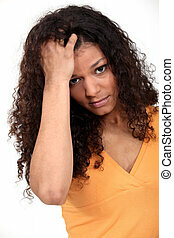 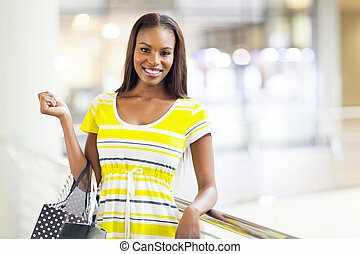 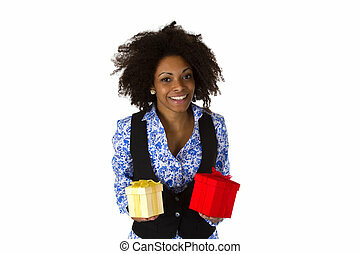 A worried African American woman. 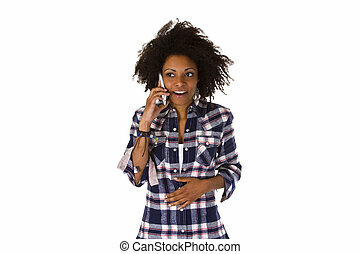 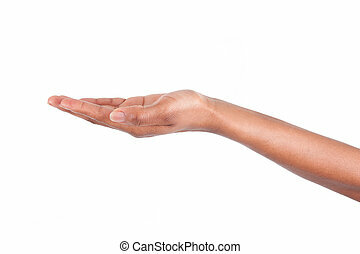 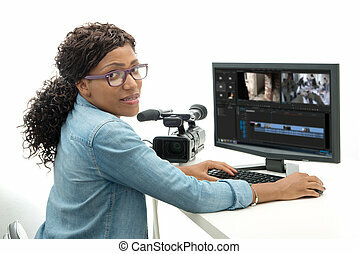 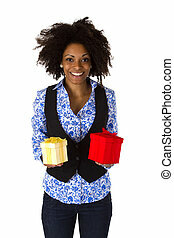 African-American black doctor woman over blue background.